When you are searching for a company to ship your car, you should know that there are two types of companies out there. When you are searching online, you will find a lot of companies claiming to be car shippers. You need to be aware that most of these companies are just brokers. A broker is a middleman between the customer and the actual car shipping company. The best method to ship your vehicle is through an actual auto transport company. 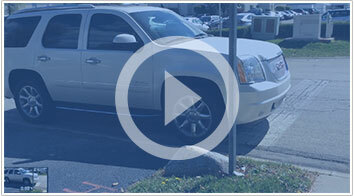 Dealing directly with an auto transport company, you will save money and potential problems. Brokers claim to be car shipping companies, but in most cases they do not have any trucks and have never even been near a truck. When you book an order with a broker, they take all of your information and post it on a website where they sell it to an actual car shipping company. For example, you book an order with a broker and he charges you $800. The broker will sell your information to an auto transport company for $500 and profit $300. If you want to deal with an auto transport company you have to ask for additional information. All companies out there will tell you that they are car shippers. In order to be sure that you are dealing with an actual car shipper, all you need to do it ask for their MC number. This six digit number is all you will need to do in order to be absolutely positive that you are not dealing with a broker. All you need to do is go online and plug in the MC number of the company and it will tell you if they are a carrier or a broker. The website that you need to visit in order to check is http://www.dotauthority.com/status.htm. All you need to do it enter the MC number and check the status of their authority. If it says active next to where it says broker, this means that you are dealing with another broker. If the company is a carrier it will say active next to common or contract. If you want to save money and potential problems, you should look for a company that is a carrier. Brokers may also do a good job shipping your vehicle, but they will charge you much more than a carrier would charge to ship your vehicle. Van 3 Auto Transport is a carrier and we do have our own trucks. We can ship your vehicle nationwide at an affordable price because you will be dealing directly with a carrier. Good luck finding the right auto transport company to ship your vehicle.